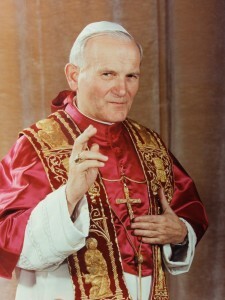 A donation in any amount is sufficient for membership in the Saint John Paul II Society ($10 suggested minimum). Your generous gift supports the formation of the record number of young men laying down their lives for God as Dominican Friars. After seven years of rigorous training, these men will go forth to preach the Gospel of Jesus Christ for the salvation of souls. Life is entrusted to man as a treasure which must not be squandered, as a talent which must be used well.